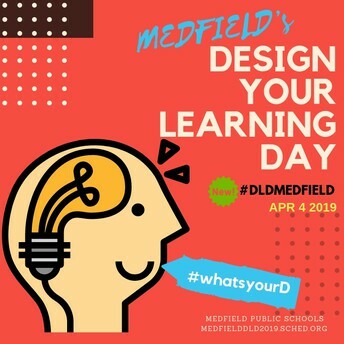 Medfield Public Schools invites you to bring your D to Medfield's 7th Annual Design Your Learning Day on APRIL 4, 2019! 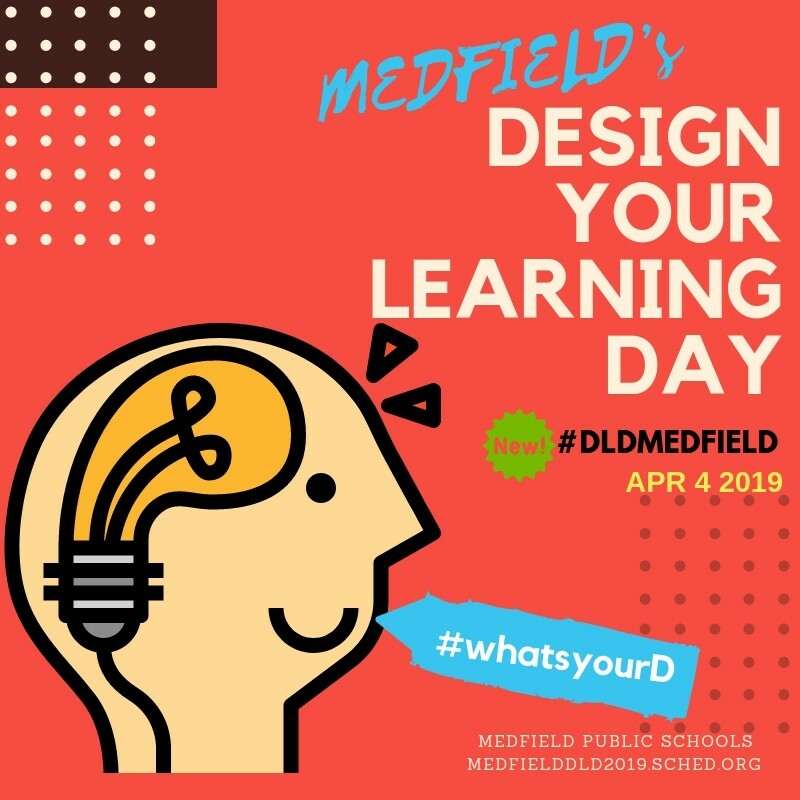 It is an entire day jam packed with over 100+ teacher-led workshops focusing on innovation, social-emotional learning, MakerSpace/Design Thinking workshops, AR/VR, our own version of M-edCamp, discussion panels, and more. 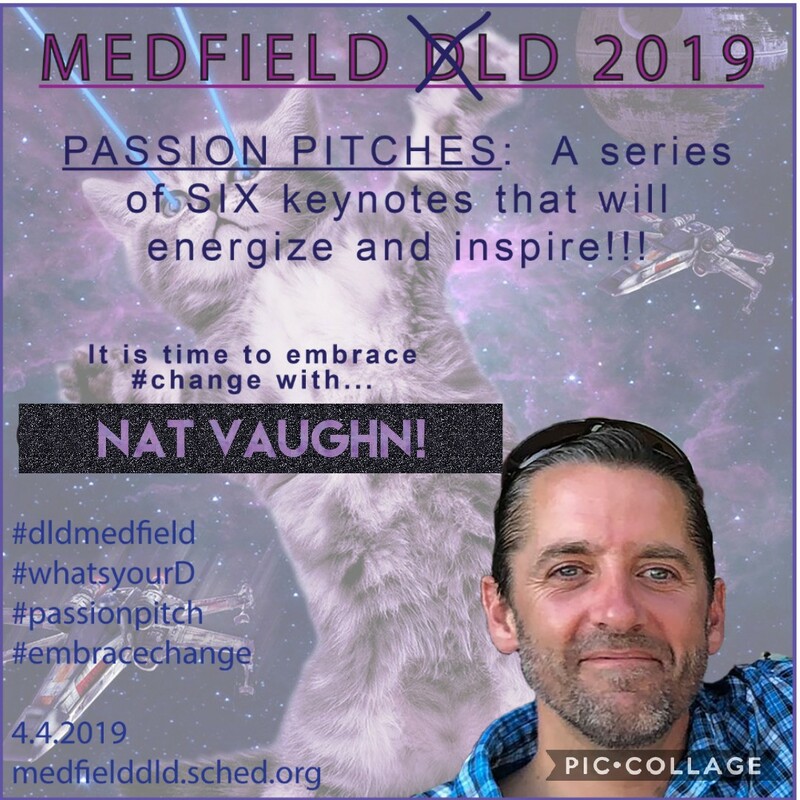 We're also excited for our new Passion Pitches to kick off the day and help deliver the D in this year's theme of #What's Your D?!! 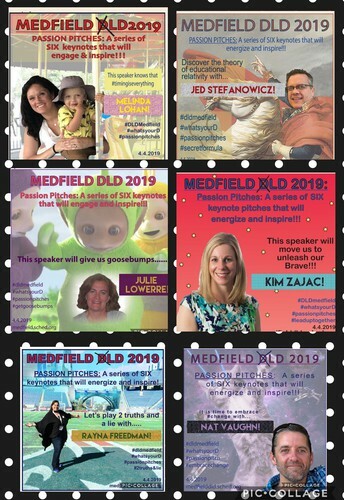 As a way to shake up #DLDMedfield2019, we have six educators who are influential, passionate, and demonstrate great leadership and innovation lined up to kick off and end our day by delivering their “Passion Pitches.” Similar to an ignite talk or TedTalk, these “Passion Pitches” will be approximately 10 minutes and focus on something that they are truly passionate about that will entertain and inspire our audience. 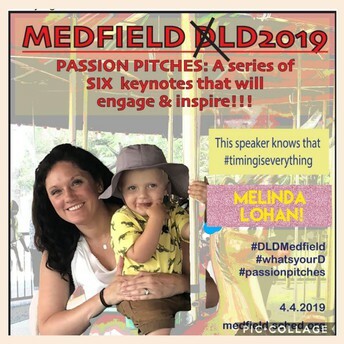 Melinda Lohan has been teaching at Medfield High School for thirteen years in the Social Studies Department. She lives in Boston with her husband, son, and two dogs. While she loves spending time with family, teaching, and learning about history; she balances her time by binging on television so bad that it is good. 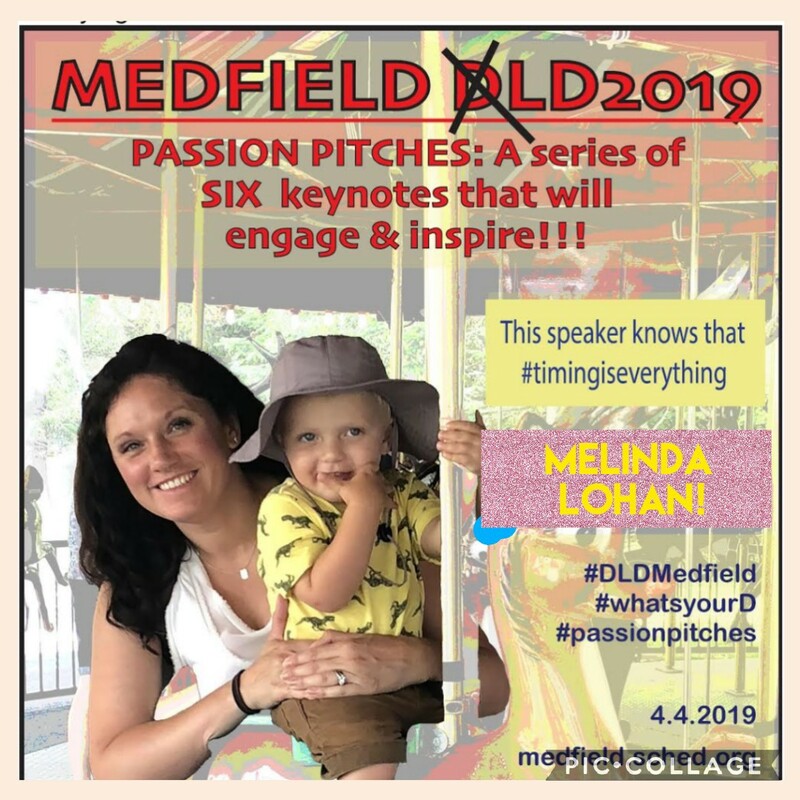 Melinda’s priorities and passions have changed over the years, but all of those choices have led her to talk about the topic of time at this year’s DLD because timing is everything. As Natick’s Innovation Fellow, Jed provides job-embedded pd and instructional coaching for academic technology. Jed aims to engage and build staff/student capacity with digital tools while keeping the focus on practice over product. 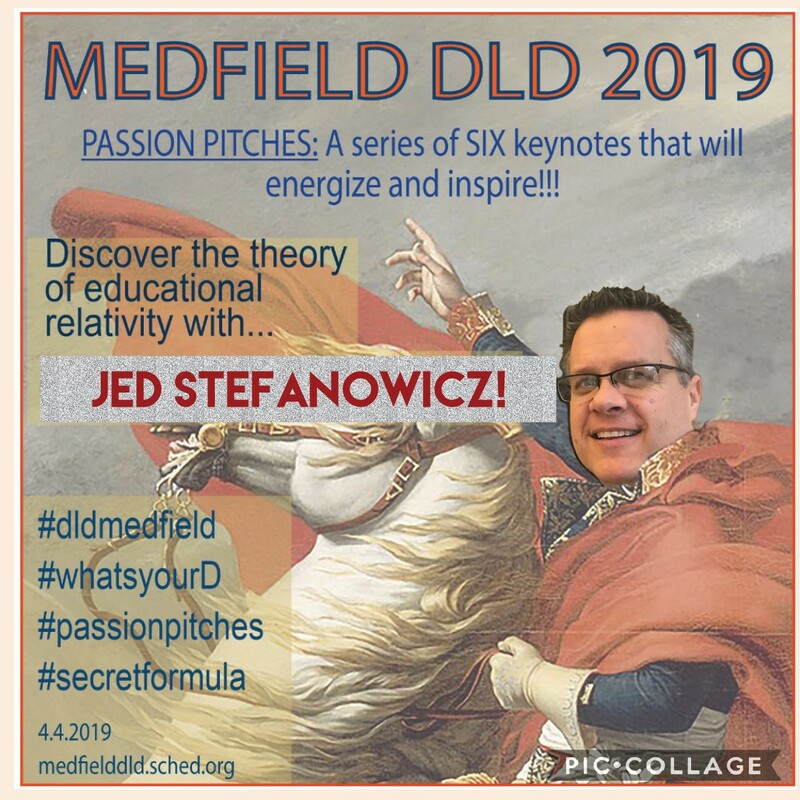 As an educator, speaker, and blogger, Jed shares his passion for effective tech integration to transform teaching and learning, creating digital learning environments and experiences that are meaningful, memorable and measurable. Julie Lowerre has been an educator for 30 years, has had the privilege of teaching all over the country in grades 3-5 and is currently teaching 5th grade at Dale Street School in Medfield, MA. Julie is passionate about finding unexpected ways to include creativity and innovation in her lessons. 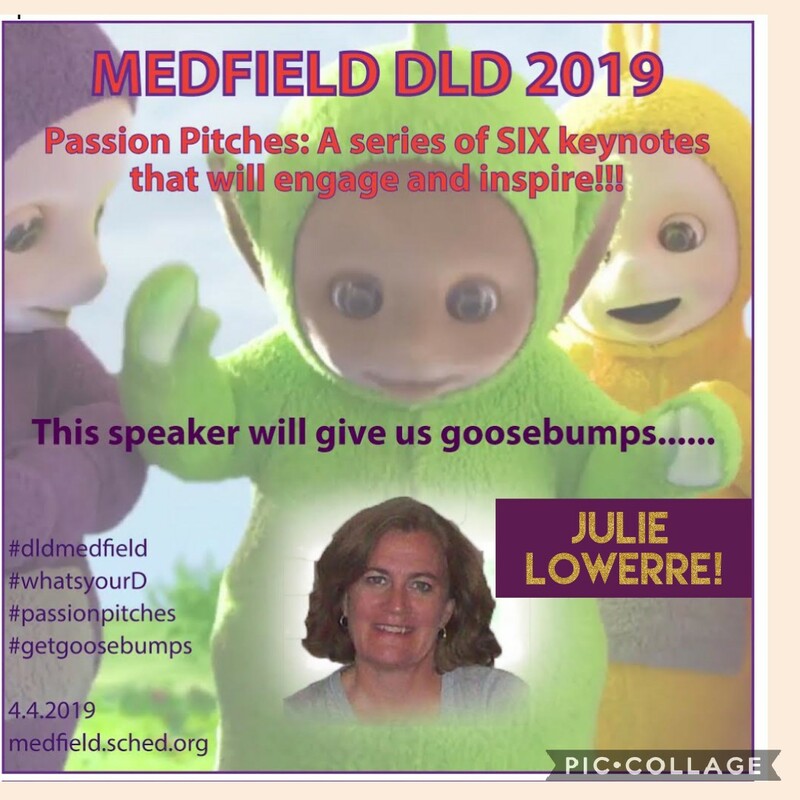 She has enjoyed presenting at MassCue, MRA, Ed Tech Teacher Summit, MTA summer conference, Medfield DLD, and many teacher PD days. She will complete her Highlander Institute Fellowship on Blended and Personalized learning this spring. Kim Zajac is a Speech/Language Pathologist and Audiologist for Norton Public Schools. She serves as a board member of MassCUE, is Co-leader of their special interest group for Speech/Language Pathology & Special Education. Kim is a co-founder of EdCamp Southeastern MA. 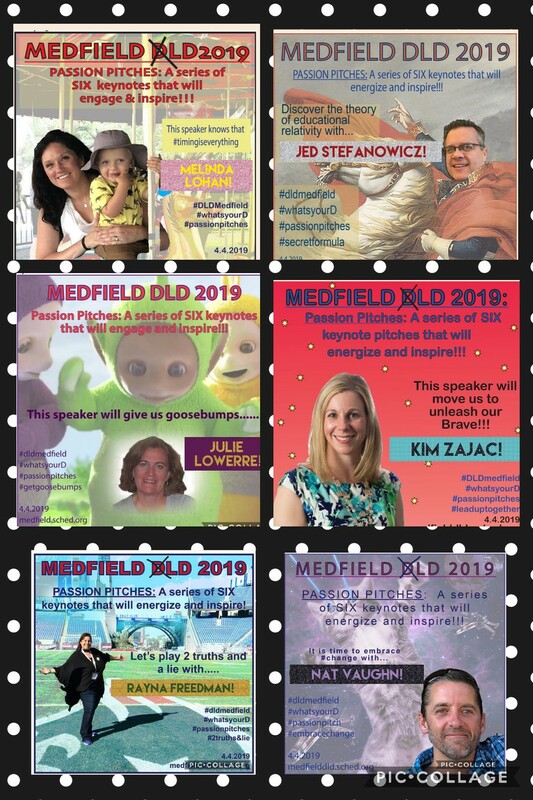 She has presented at a variety of conferences including MassCUE Fall Conference, MASCD Spring Leadership Conference, and New England League of Middle Schools Annual Conference. 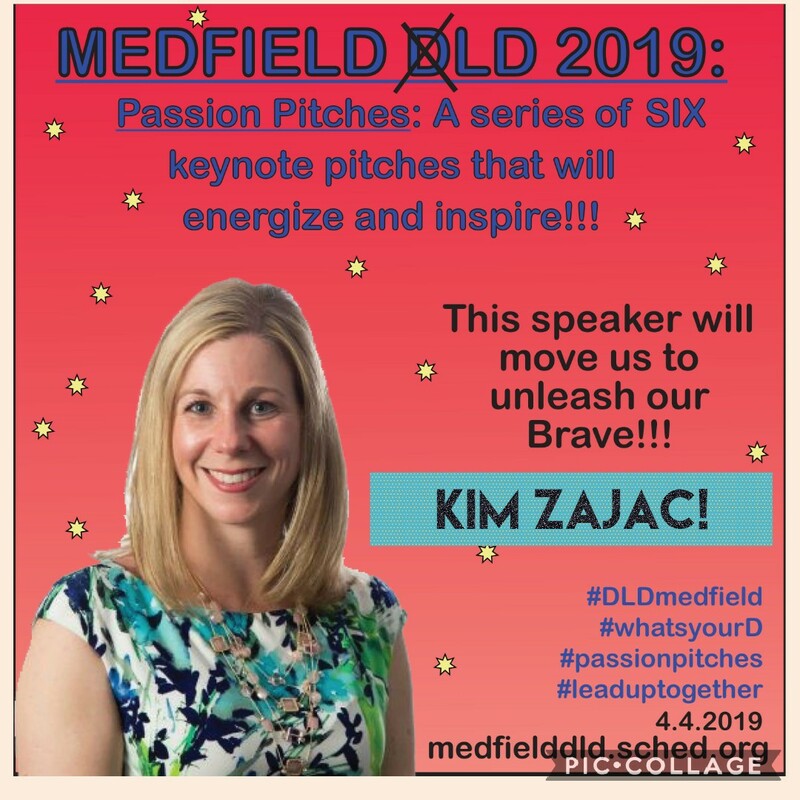 Kim is a title-less leader committed to leading up with her colleagues and modeling risk-taking as an essential element for ALL educators and students to live their best lives learning without limits. Rayna Freedman is a 5th grade teacher at the Jordan/Jackson Elementary School in Mansfield, MA. She has taught grades 3-5 and is an ITS. She is working on her doctorate through Northeastern as she hopes to change the field of education some day. 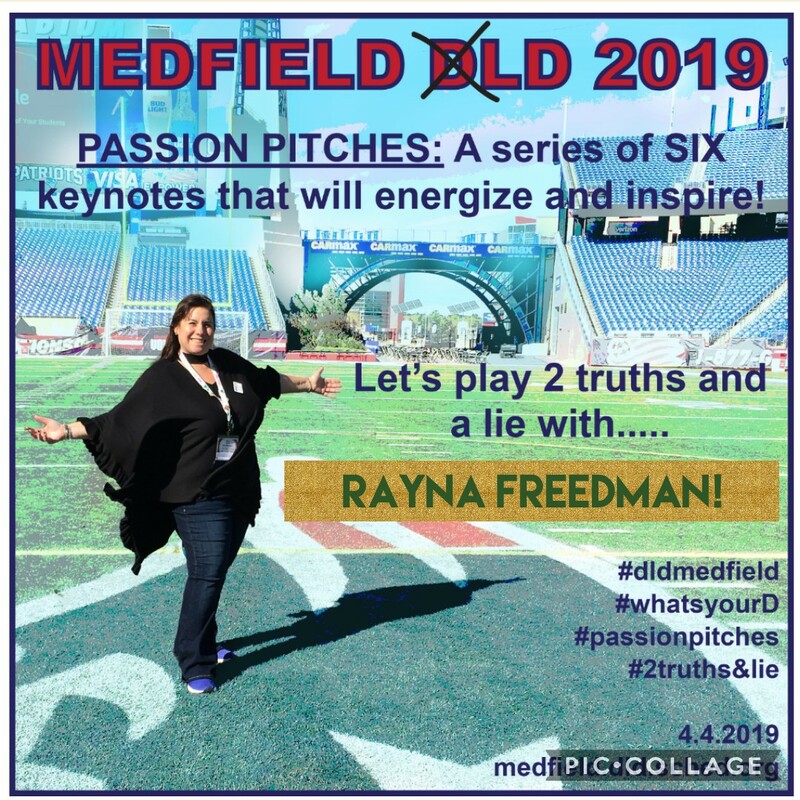 Rayna is President of MassCUE and has been presenting at the annual conference since 2010. She is a Google Level 2 certified educator, a BrainPOP certified educator, Flipgrid Ambassador, and Fablevision Ambassador. 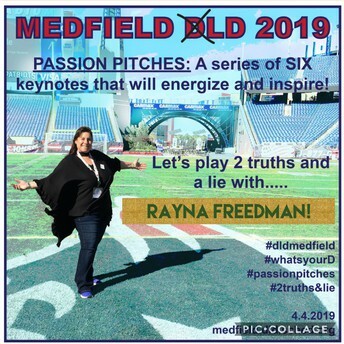 Rayna has presented for ISTE, Ed Tech Teacher, Tech and Learning, Medfield Digital Learning Day, FETC, BPLC, and BLC. 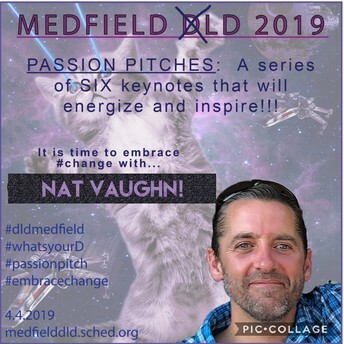 Nat Vaughn has been an educator for 21 years and has been the principal at Blake Middle School in Medfield, MA for the past 8 years. He believes in advocating for and fostering an environment of collaboration and creativity with students, teachers and parents has played a significant role in the 1:1 iPad Initiative at Blake. Communication and transparency are key elements in transforming a school towards a student-centered, learning-driven, and meaningful environment. Aligning this work with Blake's culture has provided an avenue for the community, both students and adults, to live the mantra of 'a willingness to adapt to a continually evolving world'. Visit the website below for more information! CLICK ON THE BUTTON TO GO DIRECTLY TO PURCHASE TICKETS AND REGISTER FOR THE EVENT.